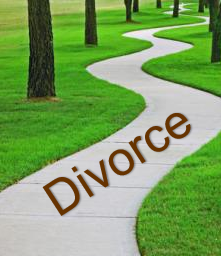 The path to getting a divorce can appear daunting and confusing, most people are unsure of the steps involved and options available to achieve their desired outcome. Also remember that applying for a divorce is a separate process from reaching a property settlement or resolving care and living arrangements for your children. The first choice you need to make is if you are going to engage a family lawyer to assist you through the process or if you intend to work through the process alone or a mixture of both. An initial meeting with a family lawyer is recommended whichever option you choose to understand your scenario fully, what will be involved and what documentation will be required. If you are choosing to use the services of a lawyer investigate who would be the right lawyer for you, ask friends and family or professionals you know such as your accountant or commercial lawyer for recommendations. Perform research on the web for lawyers who offer the services and expertise for your particular matter. You will need to have an Initial Meeting with either your lawyer or your ex-partner to fully understand the situation, explain what outcomes are desired, explore other aspects for the future. Need to consider all aspects of property settlement and parenting issues. The first stage in the process is Negotiation, this is either done between yourself and your ex-partner or through both party’s lawyers. You will need to think carefully about the outcome you would be willing to accept with regards to share of assets, particular assets you wish to retain, how much time do you wish to spend with your children, how do you intend to maintain your lifestyle following the divorce, your children’s needs going forward such as school and medical fees, child support and many other aspects. If an agreement cannot be reached during the negotiation process the next step is Mediation or Family Dispute Resolution. This involves all parties meeting under the guidance of an independent qualified mediator or family dispute resolution practitioner (FDRP). A meeting will be arranged which all parties must attend. The mediator or FDRP will facilitate discussion by asking questions, encouraging discussion to explore all the issues and concerns for both parties and allow them to explore options enabling them to reach an agreement. If an agreement is still not reached the final option is to present your matter to the Family Court and allow the judge to decide the best outcome for all parties concerned based on the evidence provided to the courts. This will involve filing forms with the Family Court, gathering evidence and documents in support of your situation. A final decision (non-negotiable once issued) will be issued by the court which must be adhered to. Once you have an agreement regarding property settlement and parenting arrangements you can file an application for divorce with the Family Court. If you have reached the financial or parenting agreement yourself, you can complete forms to apply to the court to have the agreement binding on both parties.